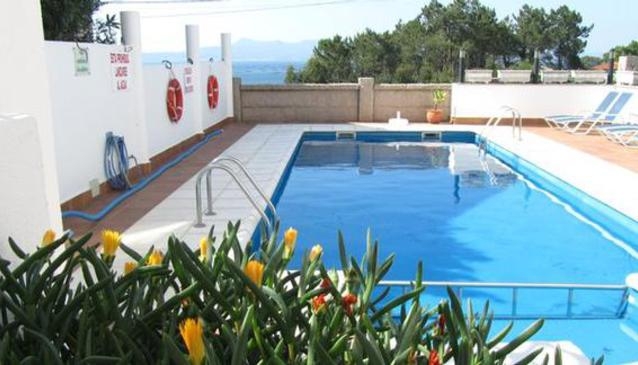 Mirador Ria de Arosa Hotel is perfectly located for both business and leisure guests to O Grove. All hotel's guestrooms have all the conveniences expected in a hotel in its class to suit guests' utmost comforts. Each guestroom is fully equipped with non smoking rooms, television, bathtub, separate shower and bath and balcony/terrace. Hotel facilities offered at this Pontevedra accommodation include 24hr room service, shops, bar, laundry service/dry cleaning, restaurant, disabled facilities, tours and business centre. Modern comfort and convenience are seamlessly combined to ensure the guests' satisfaction.